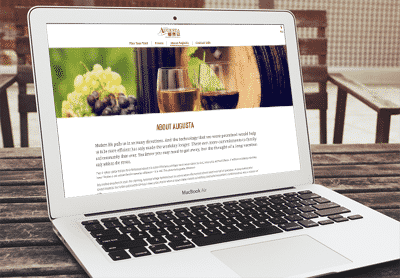 Thomson Printing, through it’s subsidiary Giant Hat, had the opportunity to develop a new website for the Augusta Chamber of Commerce that will serve as an information and communications hub for visitors to the region. The mobile-friendly website includes features like an event calendar and a “plan your visit” section allowing visitors to plan their trip to Augusta, as well as numerous member resources. Giant Hat also integrated the site with a custom “Explore” walking map, allowing visitors to search by business or activity they are looking for within Augusta and easily find directions. The website redesign highlights member businesses by offering detailed information about each of them. 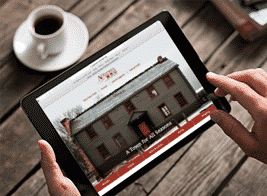 “We were selected to design and develop a website that encompassed the look and feel of the city of Augusta. To create a website that truly lived up to the cities charm,” said Giant Hat’s Project Manager Lindi Schaeffer. Ready to get your new website project started? Lets grab some coffee and talk about your project? Giant Hat is a fully owned subsidiary of Thomson Printing, Creative & Graphics. Acquired in 2015, the need for a more robust software & app development team lead us to add their highly skilled team to ours.